What Tk20 Is, and What It Isn’t | A . T . T . N ! Someone once asked: what do you want to know about your students? What are you curious to find out about your program? 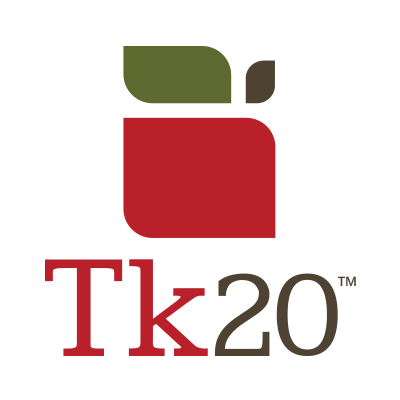 Tk20, a comprehensive assessment tool used throughout the St. Cloud State campus, provides an opportunity for you and your colleagues to answer these, and other, questions. Tk20 was purchased in 2013 in order to better manage assessment and assessment reporting—effectively leaping us from our paper-based reporting system into the 21st Century. We expanded the initial purchase for the University’s accredited programs. We now have a collection of tools to help us better manage both assessment and, for those that need it, accreditation. We offer training and a myriad of supports—quick guides, videos, one-on-one sessions, and webinars. We do not want you to be afraid nor do we want you to feel abandoned. Tk20 isn’t hard to learn or hard to use. Believe us when we say: It is safe to go in and push buttons and see what happens. It might require some patience, but in return you get the tried and true honor of learning a new technology. • The ability to track your internships, student teaching or other field experience. This is a small slice of the system’s capabilities. Egon Guba, founder of Western Michigan’s Evaluation Center, suggests that “evaluation’s most important purpose is not to prove but to improve”. Tk20 provides the campus with systematic processes to track that improvement. The system is not going to replicate your current system of assessment exactly. Both TK20 and those of us on the implementation end are eager to work with you to re-frame and adapt both the system and your assessment measures to figure out what works. Who knows? It may do a few things you hadn’t thought of! And if we run out of ideas, we are tapped into a battery of users in Minnesota who regularly share thoughts and innovative system usage. Tk20 is not magic, but we believe it can help. *incidentally, I cannot magically give you time, either. Posted May 21, 2015 by Editor in category Do you Tk20?